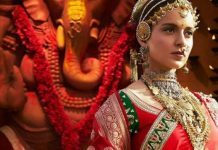 Kangana’s Manikarnika movie is out and here we are with Manikarnika movie review. As per the public reaction, the movie is quite slow in the first half, but later the movie takes the pace. During the first half of the movie, there is a huge story buildup for the action that you will witness in the 2nd half. Now let’s go ahead and see Manikarnika Review in Detail. To be frank, this is Kangana’s one of the best movies and her character in Manikarnika will mesmerize you. Kangana has given a right justice to Rani Laxmi Bai’s character and this role itself gives a lot of scope for the actresses. Manikarnika is the movie about the first act for Indian freedom and also about the leading figure on the Indian Rebellion of 1857. However, K. V. Vijayendra Prasad has done a great job and it is clearly seen in his story. Watching this movie, you will definitely unfold the facts about how the act to fight against the British started. You might really want to know if the movie is worth watching. After watching the movie, it becomes clear that Manikarnika can be one of the blockbusters for 2019. Every character in this movie plays a very important role. Moreover, the narration, Acting, Dialog, background score, and direction of the movie are at its par. Manikarnika is a must watch the movie for 2019. Manikarnika review is here and according to us, this is one of the super blockbuster movies of 2019. 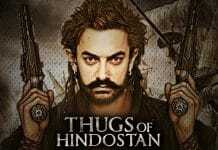 Kangana has done a superb job in the movie and overall visuals and story os this movie is mindblowing.